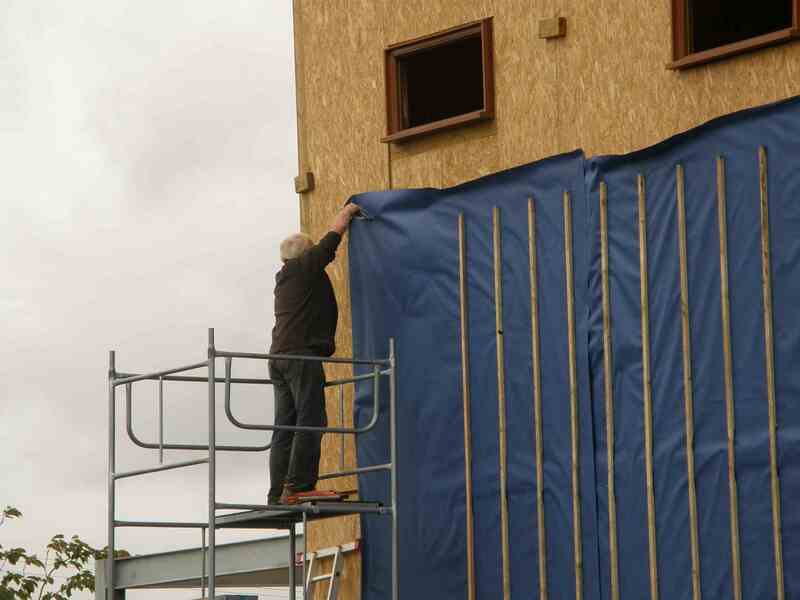 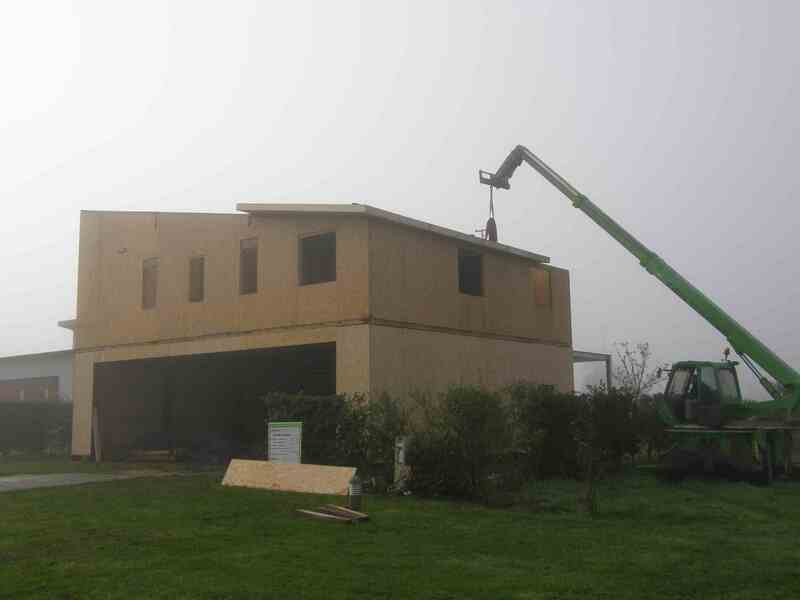 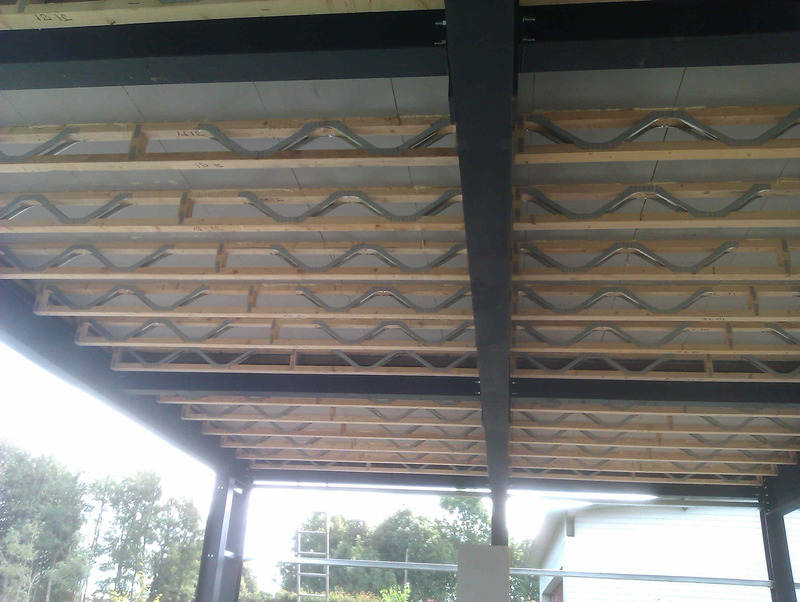 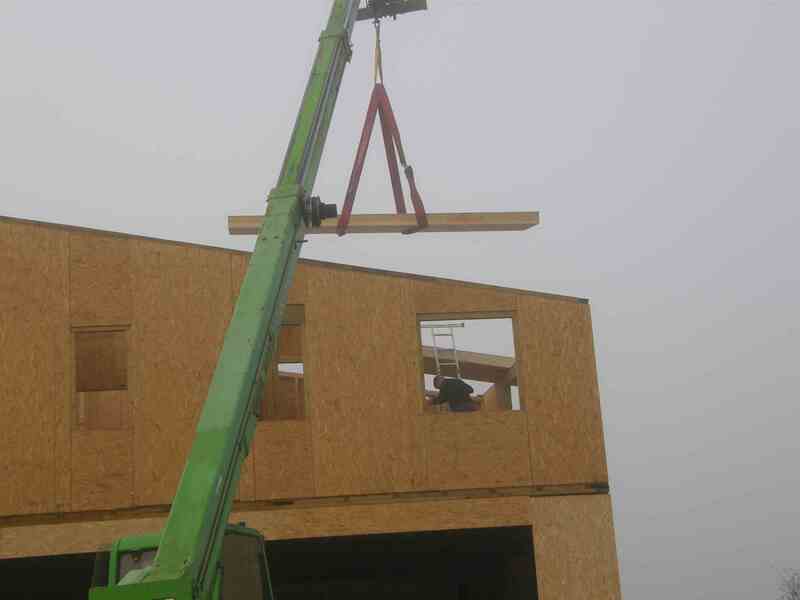 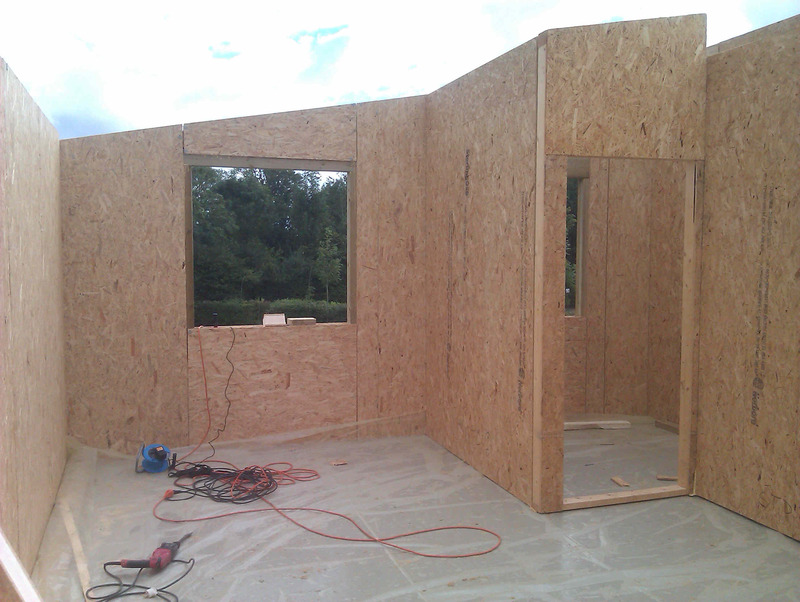 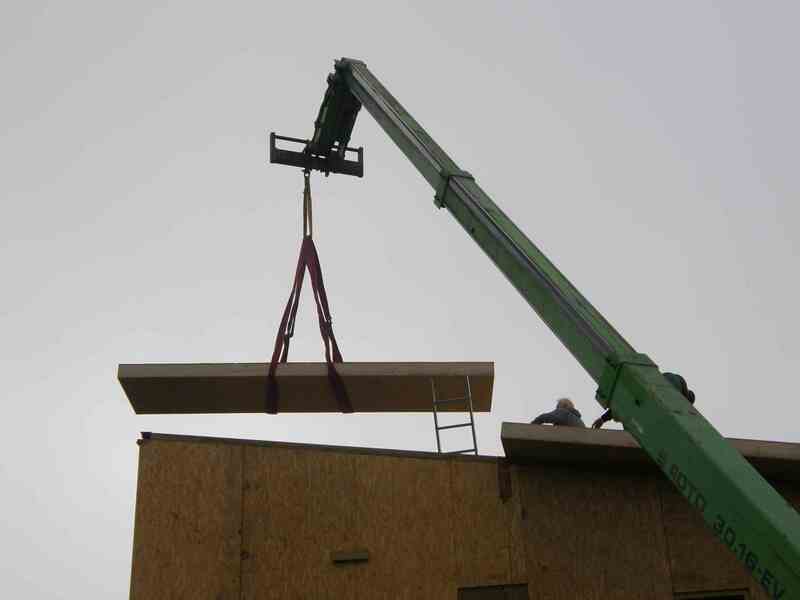 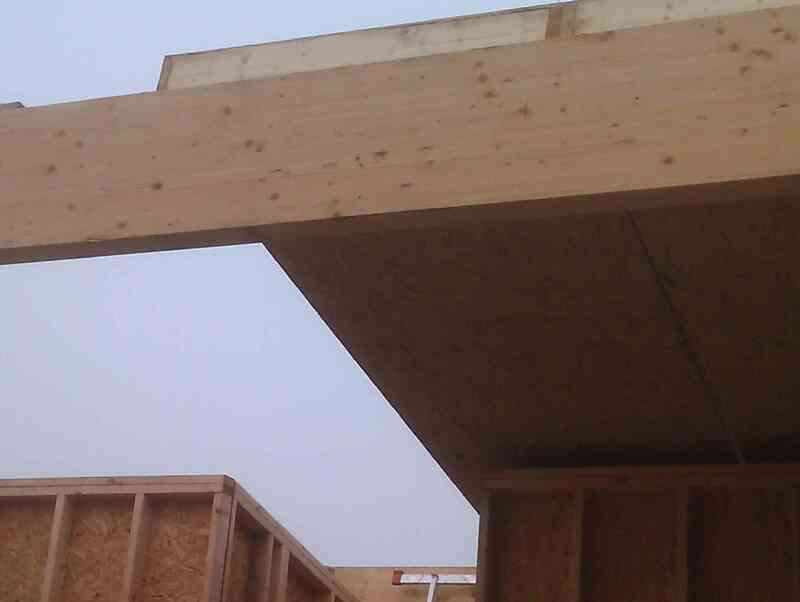 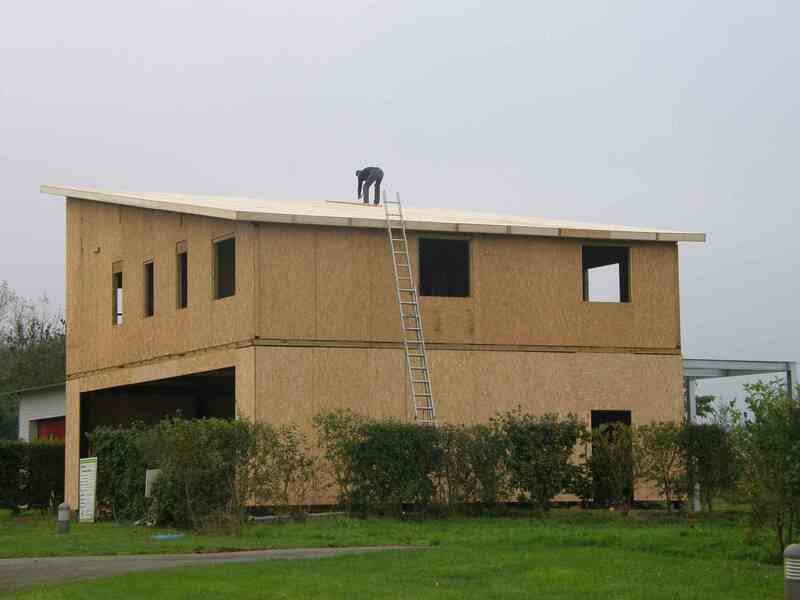 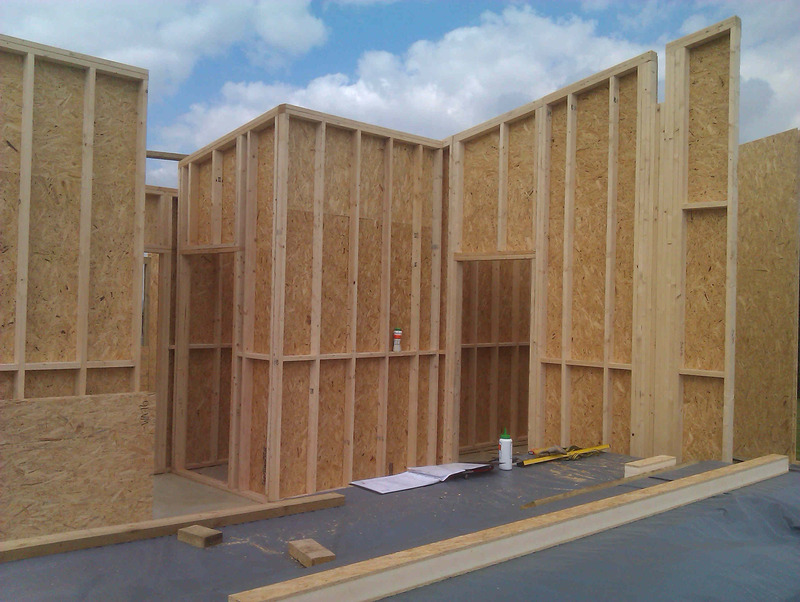 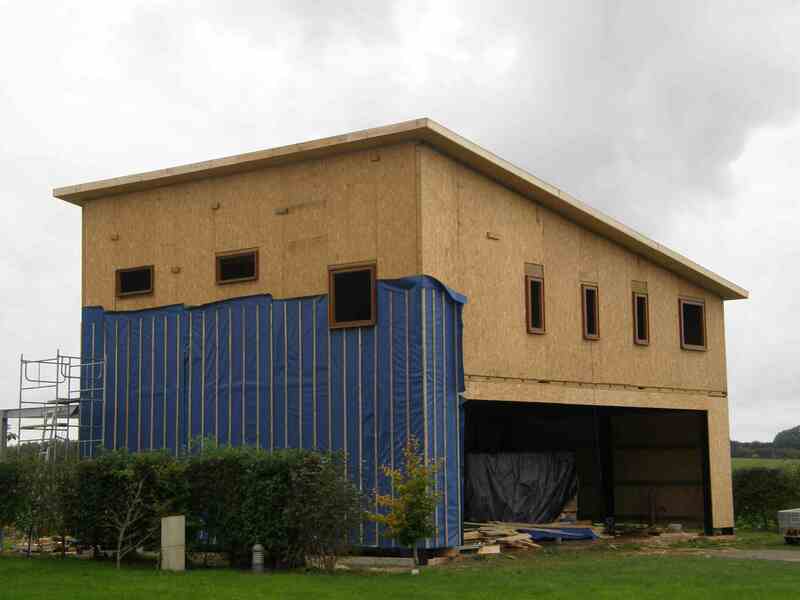 The house is built of SIP (Structural Insulated Panels) which consist of an OSB outer shell with foam insulation. 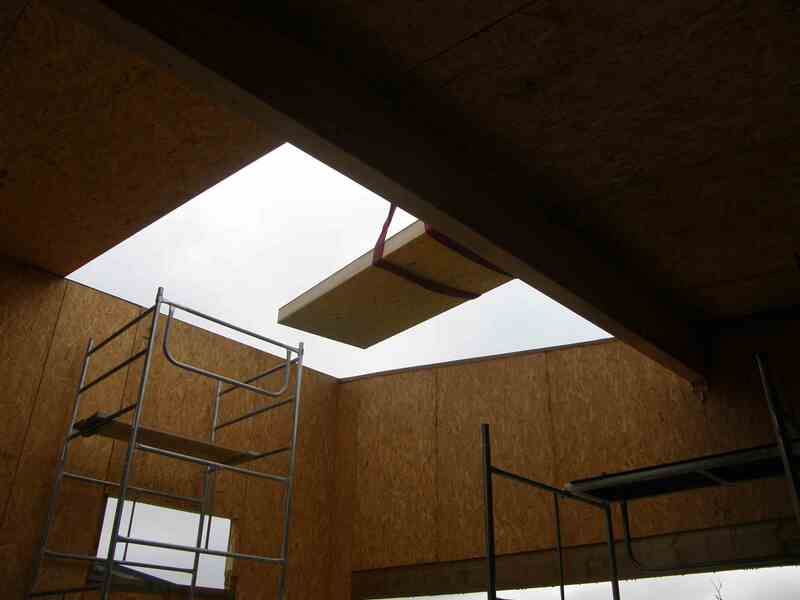 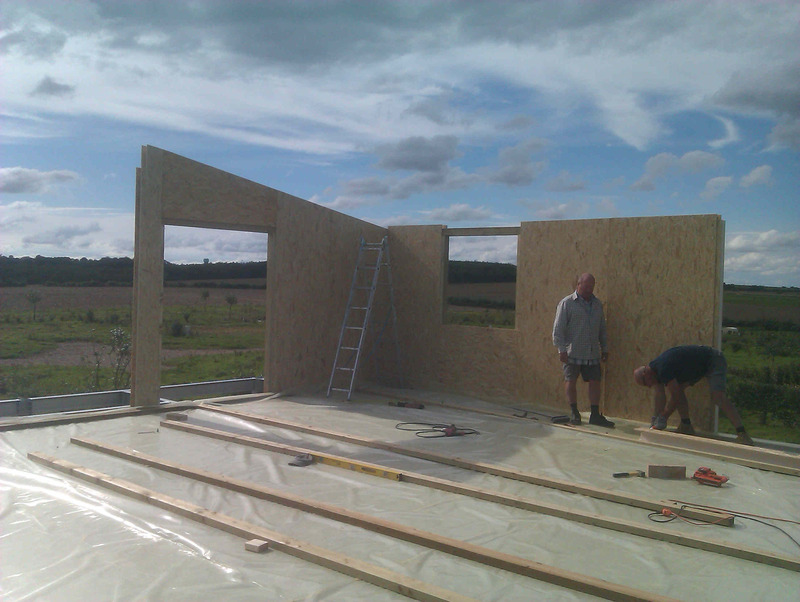 It was supplied as a kit with all the joists, flooring, internal and external walls which basically all slot into place with the holes for the doors and windows already cut out. 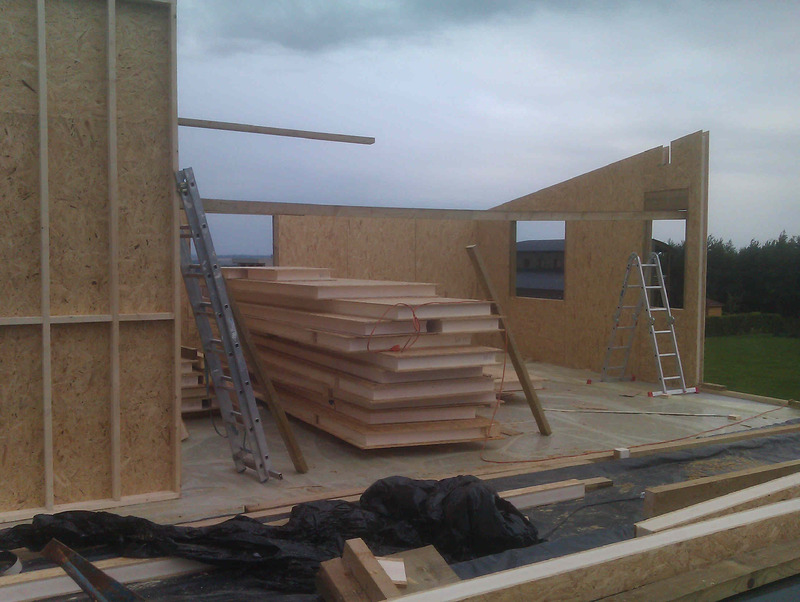 The house is slowly progressing but we have had several holdups due to the weather. 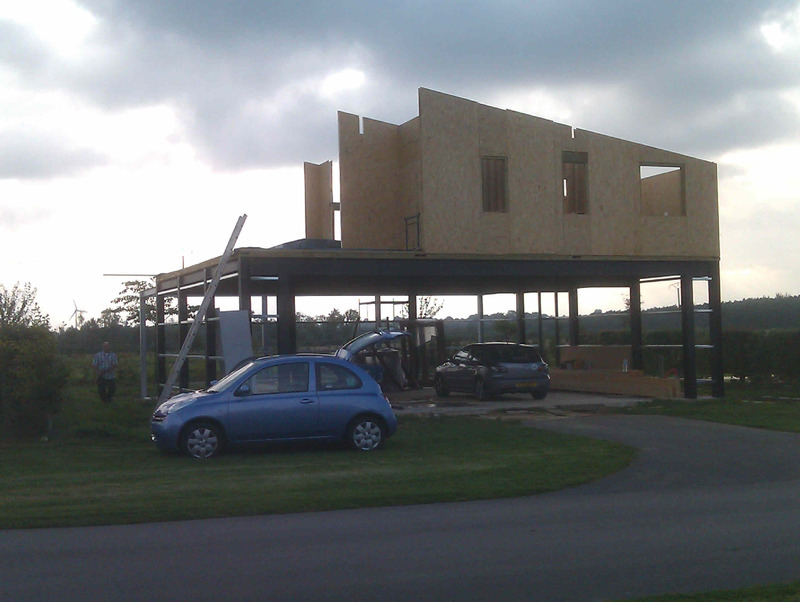 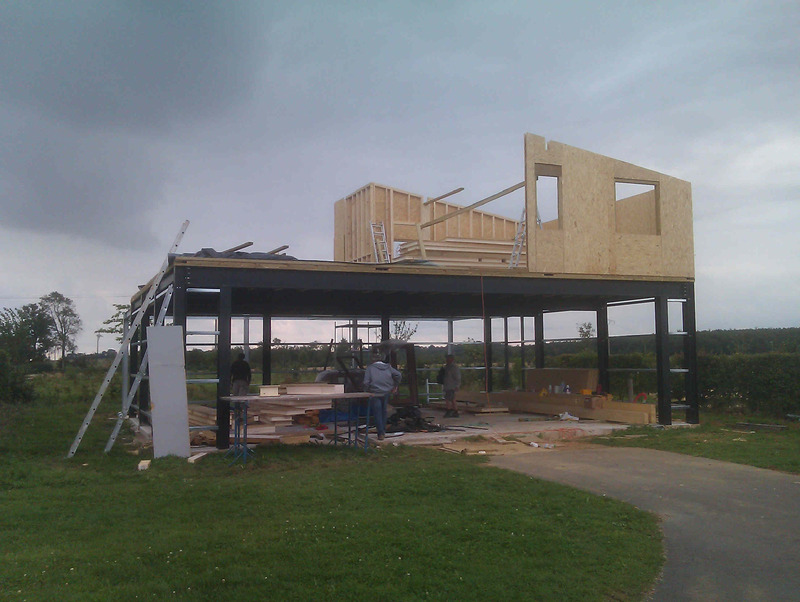 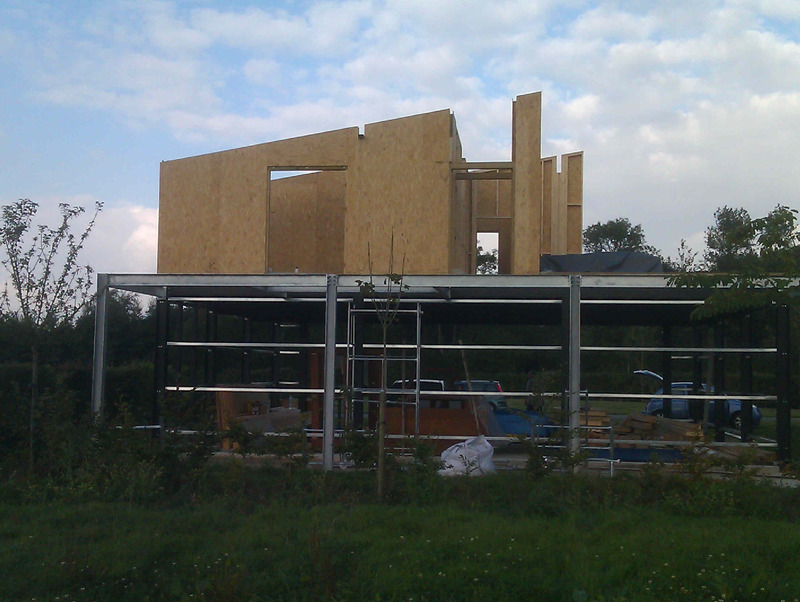 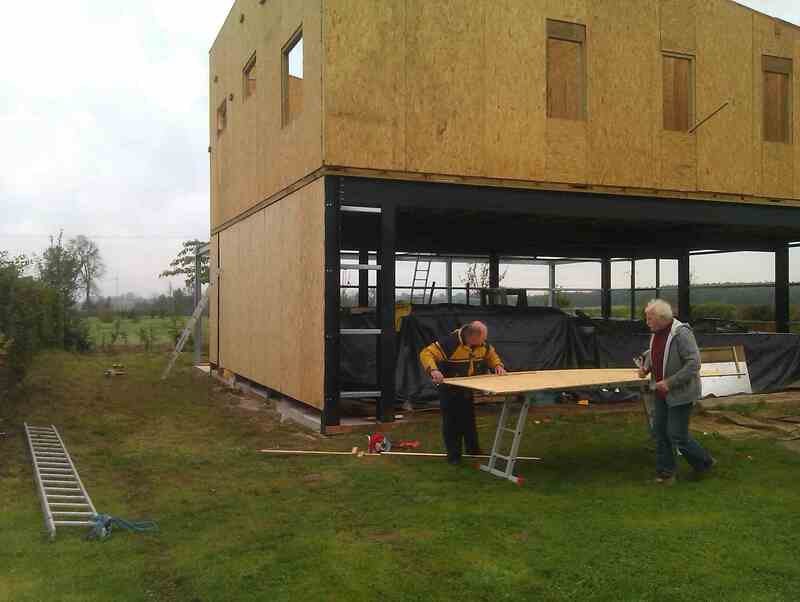 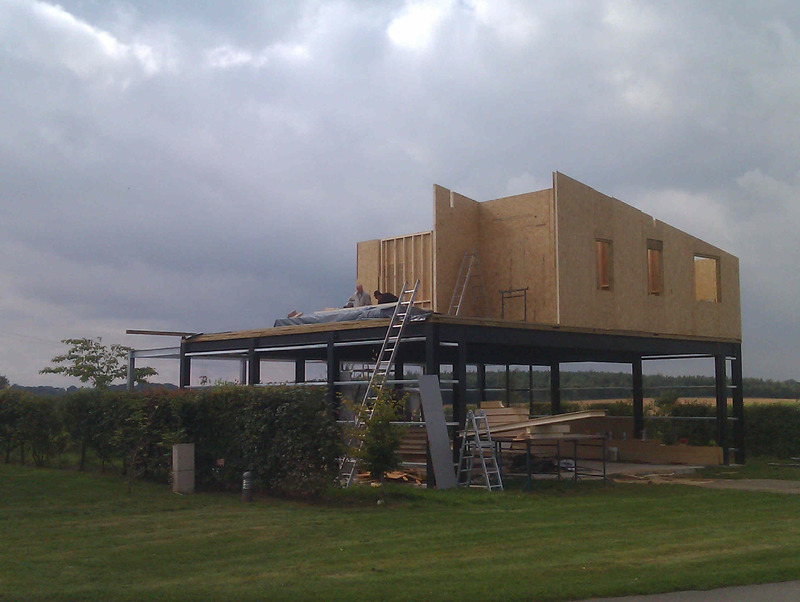 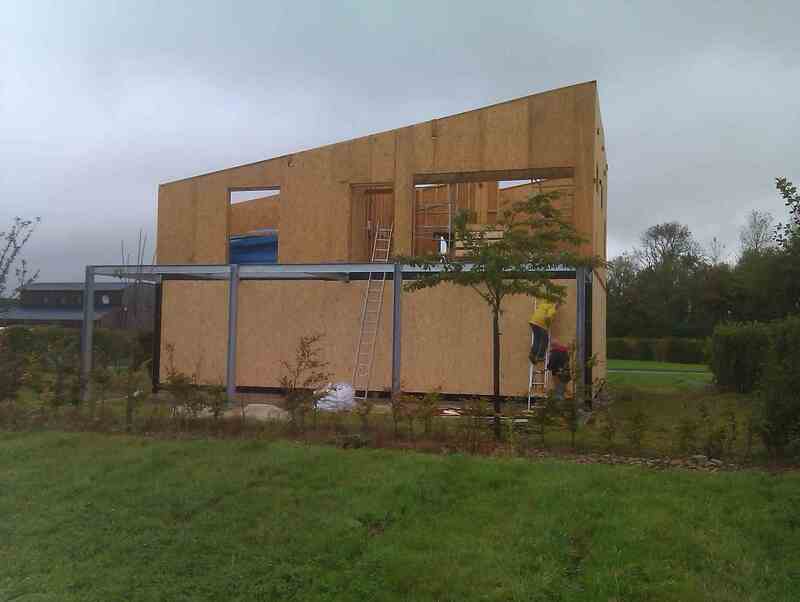 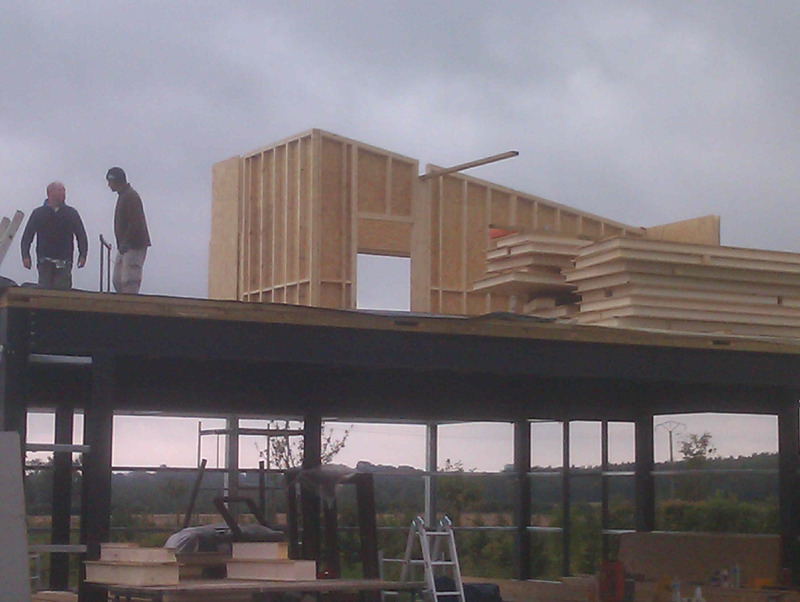 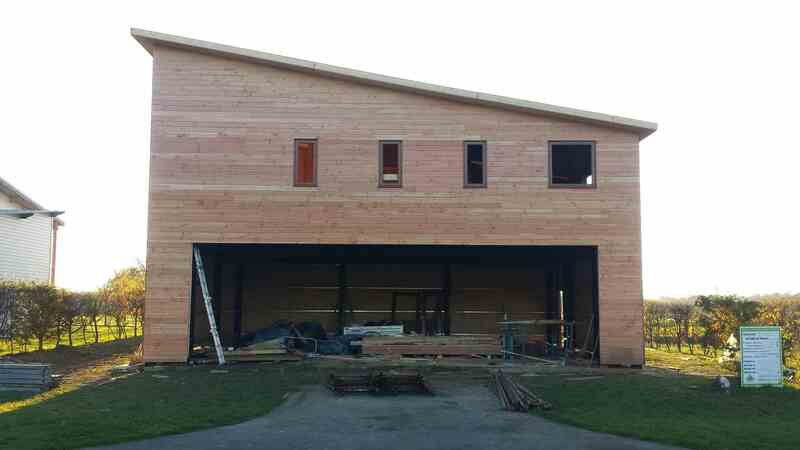 In October we returned to put the roof on, install the windows frames and start with the exterior cladding. 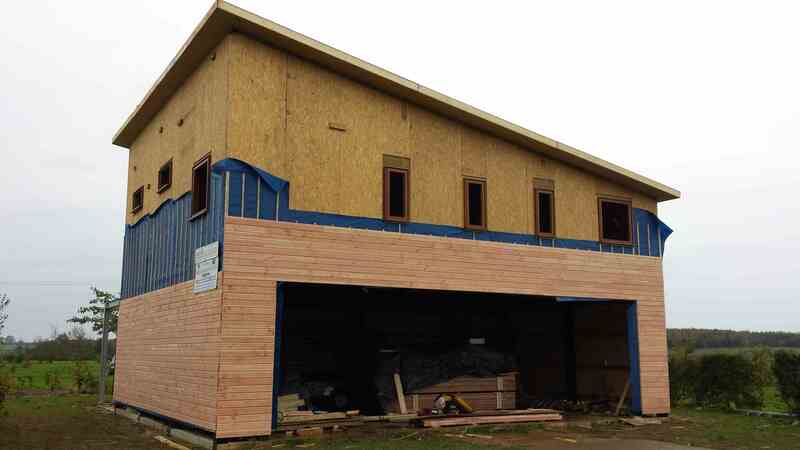 Despite the weather the cladding is mostly done now, there's still the top half to do at the back but that is mostly doors. 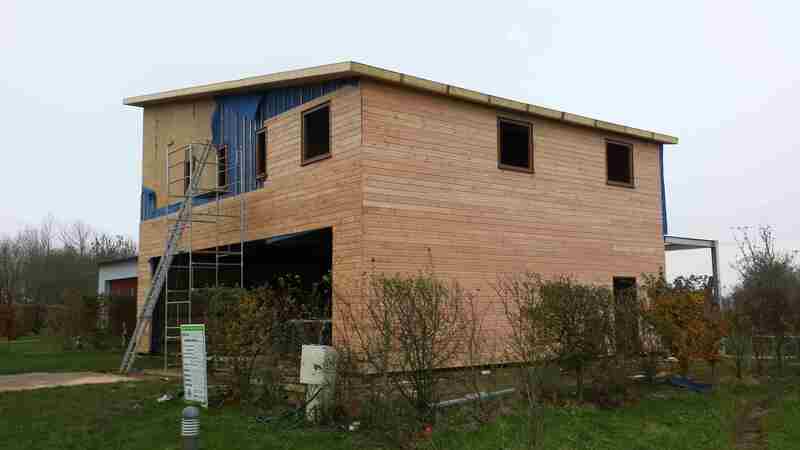 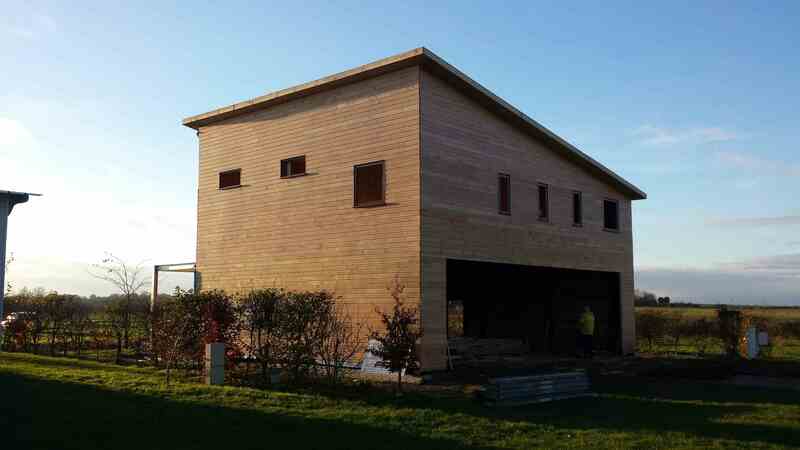 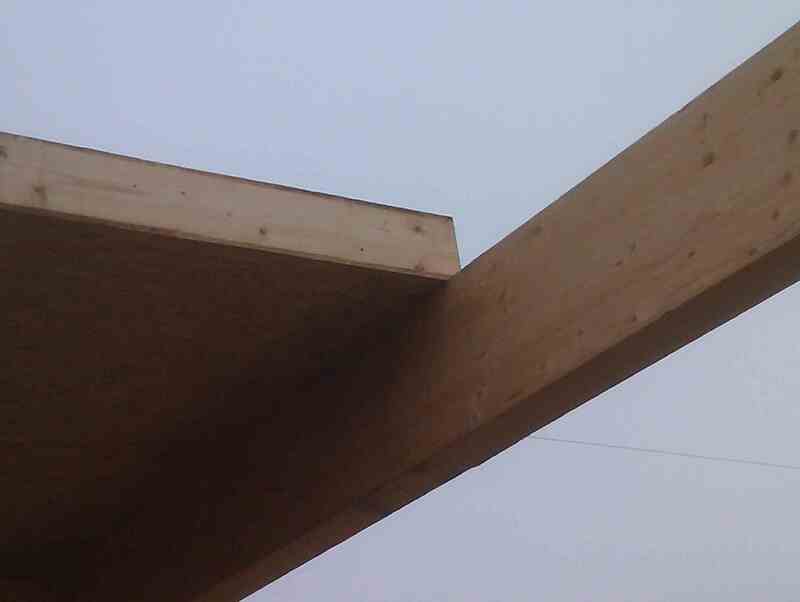 The cladding is Douglas Fir which will be left to weather naturally and will gradually turn a silvery grey. 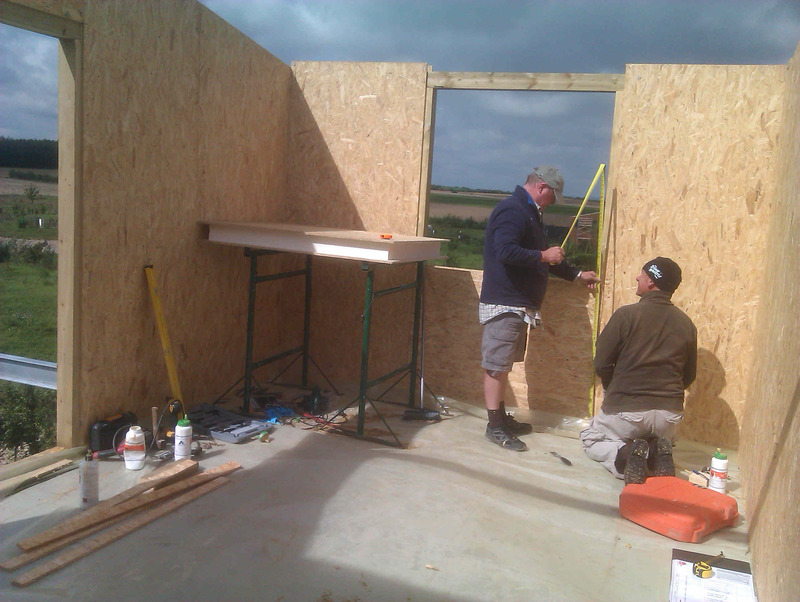 I've now got the patio door and glass for the windows so we'll be going there in another week or so to install them but the roof still needs a waterproof membrane and steel cladding to make it fully watertight.